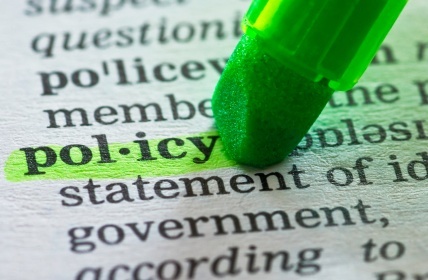 Does your organisation have a social media policy? Let us know if we can help. Whether or not your organisation has a social media presence, the need for a social media policy is unmistakable. A number of organisations, educational institutions, government offices, and businesses have created “total bans” for the use of social media. However, with the rise of mobile technology, these bans are really just masking the inevitable. The ability to access the web outside of the office intranet is becoming more of the norm than the exception. So, instead of putting on blinders when it comes to the use of social media in the workplace, it is best to face this head on and create appropriate plans and steps to address this situation. If you haven’t got a social media policy in place yet, this is the first place to start. And, yes, whether you like it or not, just saying “absolutely no social media use during office hours” can’t cut it anymore. Social Media Policy Workbook for Nonprofits – This very resource by Idealware is an extremely handy guide to help you to ask and to answer important questions in order to develop your policy. Even if you or your organisation is not a nonprofit, you might still find a few useful tips. Social Media Policies Database – If you need to look at sample social media policies across different sectors, then check out this list by Social Media Governance. Social Media Policy Tool – Now if you need to create a social media policy quickly and easily, then this online tool can help you to get a document up in no time. How-to Guide for Creating a Social Media Policy in Government – This useful article by John McCrory offers some useful insights on social media policies for the government sector. However, some of the main points in his post can be useful for other sectors as well. For an additional resource, you might also want to check out this interesting infographic on How to Train Your Employees to Handle Your Social Media by MindFlash. Some good guidelines in developing social media policy.